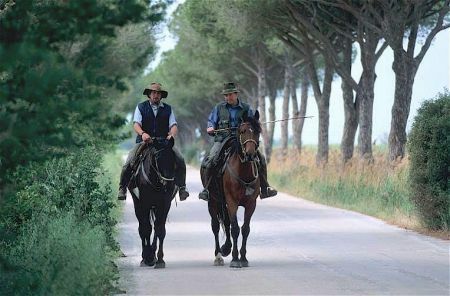 The Maremma is a huge and, in the south, quite untamed area of southwestern Tuscany, Italy (Toscana) and northern Latium (Lazio) which is unjustifiably off the beaten track for visitors to Tuscany, both Italian and foreign, despite there now being numerous comfortable and economical vacation accommodations and other places to stay in the Maremma. 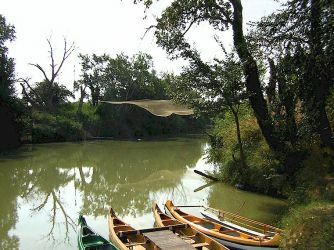 The region is characterised by extensive forests, spectacular hill country and lightly populated coastal regions, including salt marshes and estuaries inhabited by unusual flora and fauna, plus numerous small towns and villages that preserve Tuscan customs and a way of life that have become much harder to find in other parts of Tuscany and Lazio. With a little effort, any visitor to the Maremma will be rewarded every day by attractive and interesting experiences and sights. With a bit of luck, one might encounter the famous butteri, the cowboys of the Maremma and the unusual breed of steer that they farm. 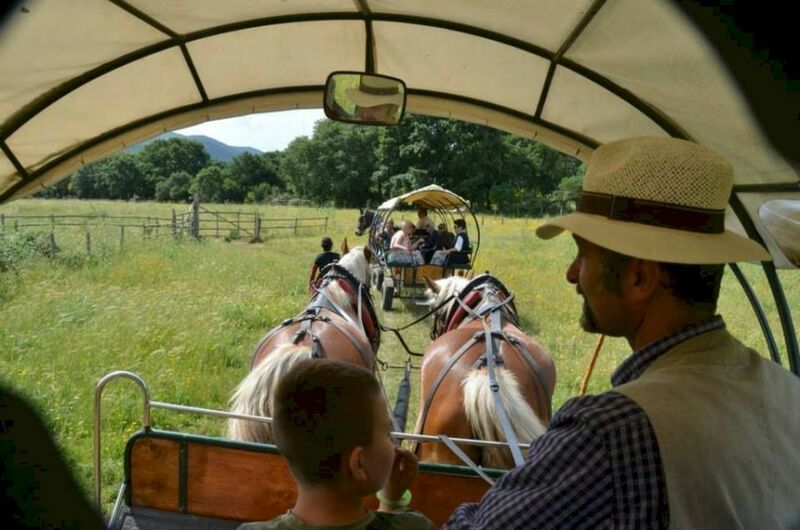 Two days by covered wagon along the Etruscan roads and the Nature Park of the Maremma. 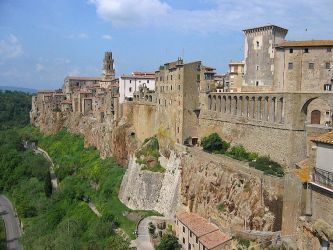 The tour will include the Etruscan ruins at Vetulonia, the charming seaside town of Castiglione della Pescaia, the beach at Principina a Mare and the world-famous Parco dell'Uccellina bird sanctuary. More about the two day Maremma horse and wagon tour. Scenes from the coastal plains of the Maremma, near Grosseto and the Ombrone river. The Alta Maremma or Upper Maremma begins more or less at the Cecina River just south of Livorno and covers the Colline Metallifere (metaliferous hills) around Massa Marittima, the inland hills from Roccastrada south to Scansano plus the area extending from Grosseto as far as San Quirico and Monte Amiata. 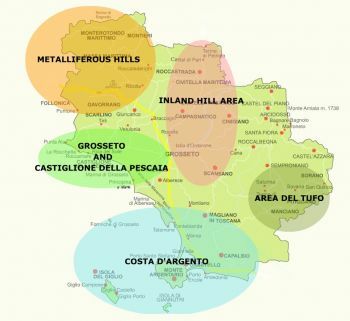 Although known for centuries for its malaria and bandits, the Maremma is now apprciated for its numerous wild life reserves and is also the home of the first of the "super Tuscan" wines, Sassicaia, produced by the Marquis Mario Incisa della Rocchetta at Tenuta San Guido near Bolgheri. 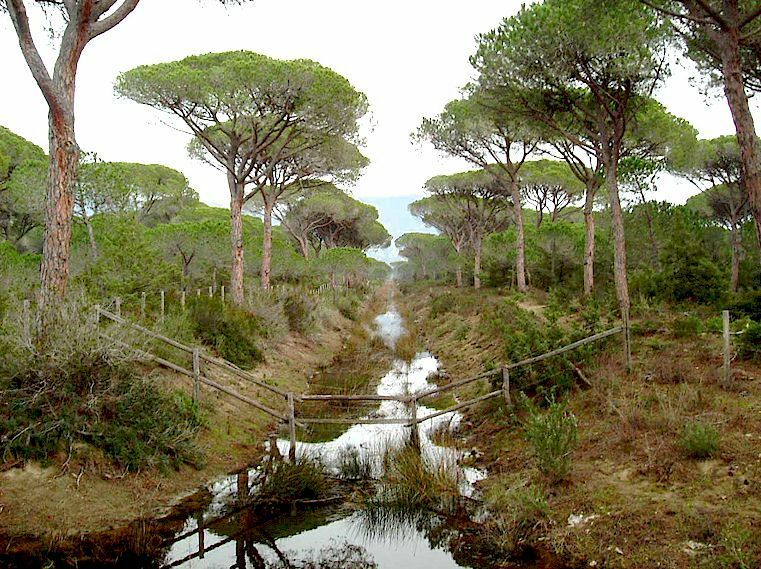 In addition to Sassicaia, Bolgheri is now famous for wines such as Grattamacco, Ornellaia and Paleo. 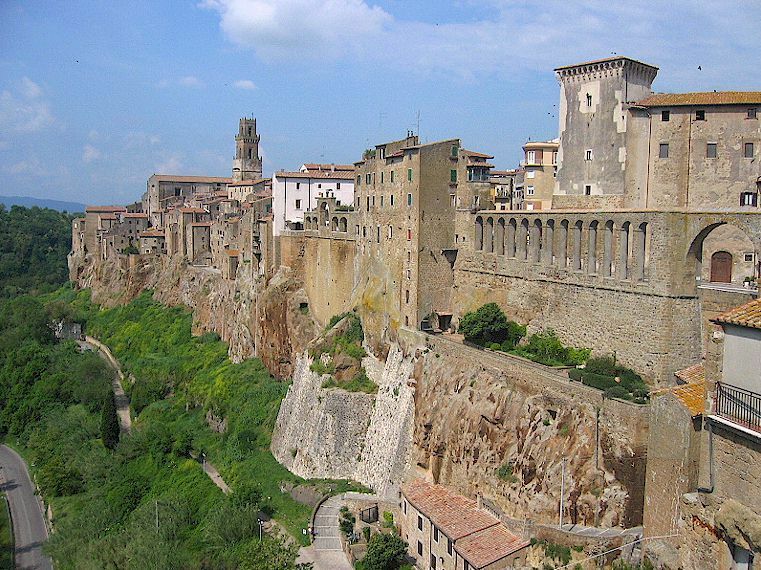 The Bassa (Lower or Southern) Maremma extends from Grosseto southwards past the Costa Argento into Latium. 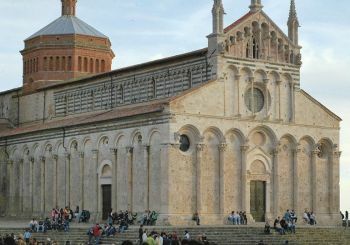 The Maremma can be visited from as far as the Chianti wine area of Tuscany, Italy, during the course of a one day car ecursion.